This was a morning of exquisite beauty. 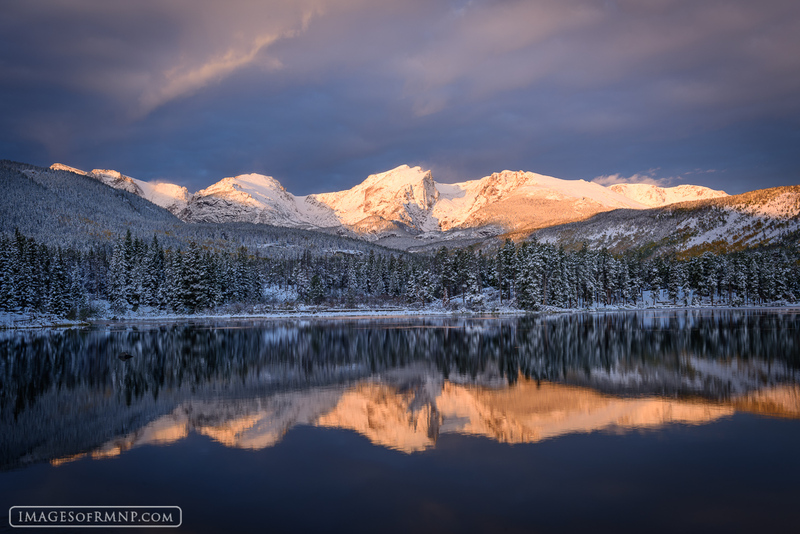 After a winter storm the earth held its breath as the rising sun painted the mountains with her warm light. Photo © copyright by Erik Stensland.